It has been some months since we last posted. THANK YOU ALL for coming out to our Singer-Songwriter Showcase back in November and our performance at RPM Music on Record Store Day last month! 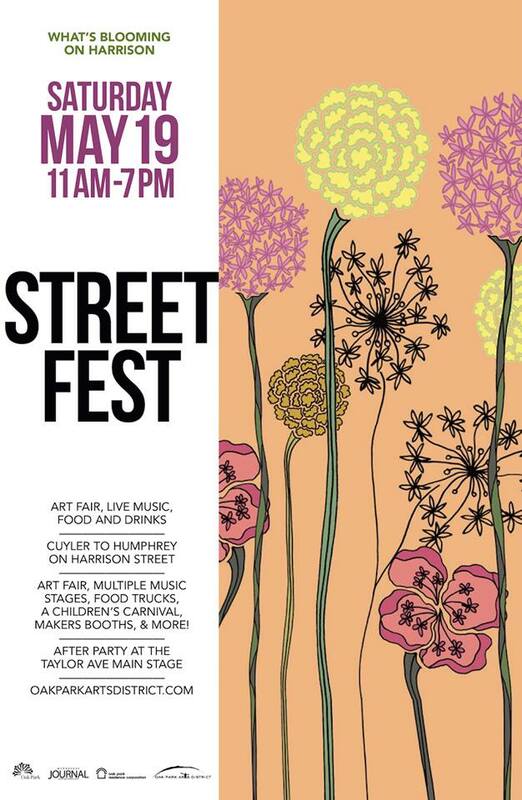 We’re very excited to be a part of this wonderful festival “What’s Blooming on Harrison” this year!!! We’ll be performing at their brand new stage on Humphrey, east end of Harrison street in Oak Park Arts District, from 5-6pm. There will be lots of great local artists, artist studios, live music, food trucks and many more fun things to do and check out! Rain or shine, please come see us and check out this one of our favorite festival! Saturday MAY 19th!! !